Australia attracts plenty of attention from those looking to emigrate. It is easy to understand why, as our sun-drenched, fun-loving, modern nation has much to offer would-be expats. However, as vibrant and cosmopolitan as Melbourne and Sydney are, they aren’t suitable for everyone’s budget. The cost of living is sky-high in these urban centres (e.g. the average house sells here for just under $1 million AUD), putting all but the most spartan of accommodations out of the reach of most immigrants. 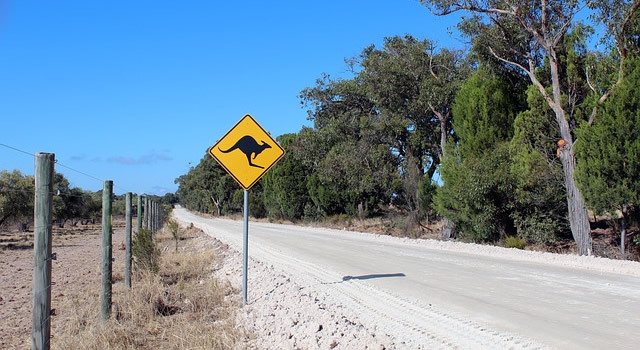 It isn’t all bad news, though: if budget conscious expats are prepared to embrace a more rural lifestyle, Australia’s countryside offers lower prices, friendly folk, and wide open spaces. Let’s explore towns that provide newcomers with a solid livelihood, beautiful surrounds, and reasonable living costs. Want to call an authentic Australian surf town home, but put off by the scene in Bryon Bay? Many opt to make their home in Yamba instead. While its median housing cost of $532,500 is a tad on the high side, paying half the price of an average home in Sydney to live close to the sea is a good trade in our opinion. Unlike Bryon, Yamba doesn’t have rollicking nightlife, but it does have plenty of trendy cafes – great news if you are looking for a mature place to settle. One drawback lies in its distance from major cities – this limits employment opportunities to the tourist trade, the local port, and online self-employment, so be sure to keep this in mind if you will be searching for a job here. Born in the Victorian gold rush of the 19th century, Chiltern is a fraction of its former size. With just over 1,000 people calling this sleepy yet historic town home, those looking for a slower pace of life will fit in here. With a median house price of only $290,000, those reeling from Melbourne’s exorbitant prices ($882,000) will enjoy plenty of disposable income in Chiltern, even when lower wages are taken into account. Think living within walking distance of some of the world’s most beautiful beaches is impossible for all but the wealthy? Give Esperance a look. It is located close to some of Western Australia’s most stunning beaches, yet its median house price sits around $325,000. Geologists, tradespersons, and labourers are in demand, as this town is close by to a number of productive gold and iron mines. The level of economic activity these developments have created means Esperance has one of the lowest unemployment rates in the country. As such, the region needs employees of all kinds, making it a great destination for those seeking work. Love the outdoors? Consider yourself a wine connoisseur? Margaret River may be the right town for you. Its Indian Ocean coast boasts 75 surf breaks, some of which produce the largest waves in the country. Further inland, its vineyards produce 20% of Australia’s premium wines despite growing only 3% of the nation’s grapes. Western Australia may be notorious for its isolated towns, but Margaret River is only 277 kilometres south of Perth, putting it within day-tripping distance of this modern metropolis of almost two million people. Considering making a Brexit of your own from the United Kingdom? If you adore the English countryside, look into relocating to Evandale, Tasmania. Situated an hour outside the equally charming city of Launceston, Evandale’s tiny downtown core contains a collection of Victorian and Georgian-style buildings. Reasonably priced houses (median price of around $320,000) and employment opportunities at the University of Tasmania in nearby Launceston make this small town a viable option for expats. Think you’ll have to give up shredding pow in order to move to Australia? Settling in the Victorian town of Bright will lay these fears to rest. In winter, you’ll be a short drive from Falls Creek and Mount Hotham, two of the finest snow resorts in Australia. With a ski season lasting approximately four months, you’ll have plenty of time to get in some turns. Employment is primarily in the tourism sector, though some professionals may be able to conduct their profession remotely via internet. Housing is somewhat pricey at a median cost of $522,000 – however, when you compare that with what a home costs in Melbourne, we’ll take it. The further some folks are away from the city, the better they like it. If you count yourself among them, love tropical heat, as well as beaches that go on forever, then Broome might be your new home. Situated more than 2,000 kilometres from Perth, you will be closer to Indonesia than any major centre in Australia. That said, it has plenty of economic activity to make up for its isolation. In addition to tourism (which swells the population to 45,000 people in peak season), rare earth and ore mining are well-developed industries here, as is oil and gas drilling. Housing prices are reasonable given limited supply, with the median price sitting around $390,000. Mulling over an employment offer in Adelaide but don’t fancy city living? Consider getting a place in Strathalbyn. Situated within a 50-minute drive of South Australia’s capital, this country town is a favourite among area artists. Home to numerous galleries and trendy cafes, as well as antique fairs and markets that occur on a regular basis, this town a solid choice for cultured expats. Adelaide is one of the more affordable cities in Australia for housing, but prices are even better in Strathalbyn. With a median price of $365,000, you’ll spend almost half of what a home would cost in Adelaide. Coastal Queensland is a tough place for budget-conscious expats. Even in smaller towns, prices tend to be inflated, thanks to this state’s embarrassing wealth of gorgeous beaches. Once you head a bit inland, though, living costs become more reasonable. Dayboro is a prime example. Situated within commuting distance of Brisbane and the Gold Coast, this town of 2,000 people, with its history of ranching and agriculture, offers a distinctly country atmosphere. Median housing prices here are definitely on the pricey side ($586,000). However, when you consider the fact that many homes are pushing a million bucks in Brisbane, the peacefulness and the family-friendly nature of this town makes its elevated cost worth it. Australia’s out-of-control housing market has given many expats second thoughts about moving here. After all, being forced to make massive rent or mortgage payments can hold you back from the life you deserve. However, these problems can be greatly lessened by relocating to smaller centres. Not only are costs lower in the countryside, but the pace of life there is often more relaxing. Employment can be found just as readily in the countryside as well. In these towns, there are students to teach, patients that require treatment, and mines to manage. What’s more, many of these settlements are reasonably close to major centres, making it easy to access city amenities whenever you need them.